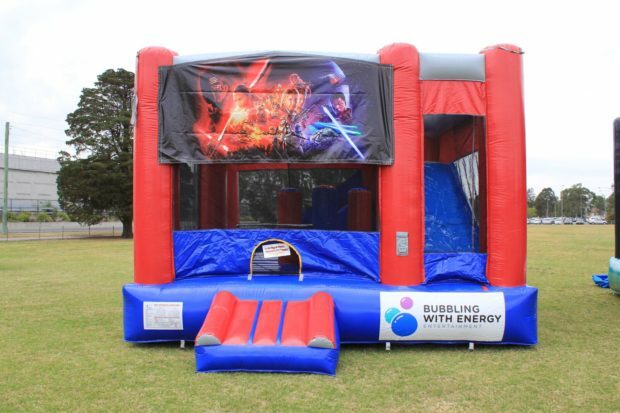 Star Wars Jumping Castle Sydney Hire - Jump into a Space Adventure! 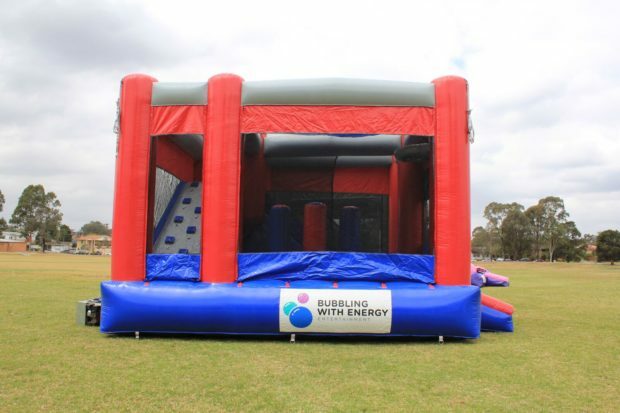 A long time ago in a galaxy far, far away bubbling with energy redefined Sydney’s jumping castle hire market and we have done it again as we bring the next trilogy of star wars to your next event with our Star Wars Jumping Castle Sydney Hire! 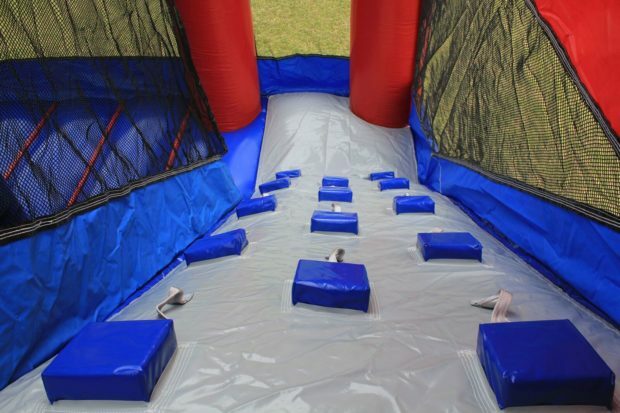 The force will awaken you as you bounce high and adventure through the many activities inside. 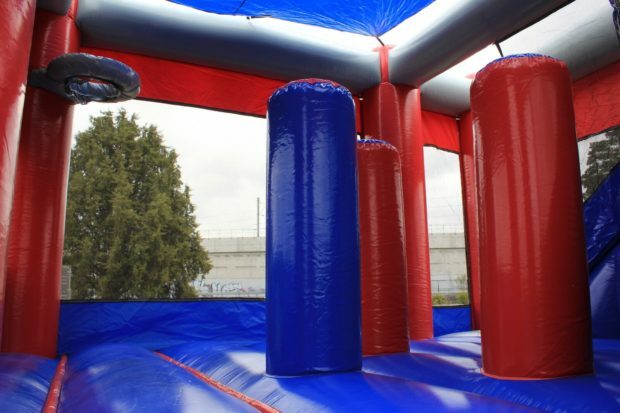 Our Star Wars C5 is a bouncy castle rental for children up to the age of 13 years old. 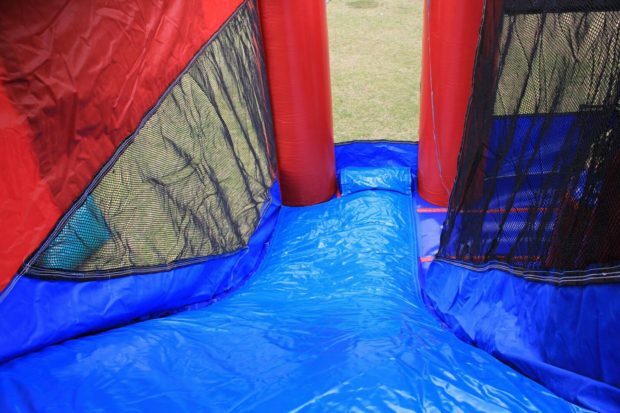 Also, the inflatable has a jumping area, climbing ladder, slide, pop-ups and a basketball hoop. 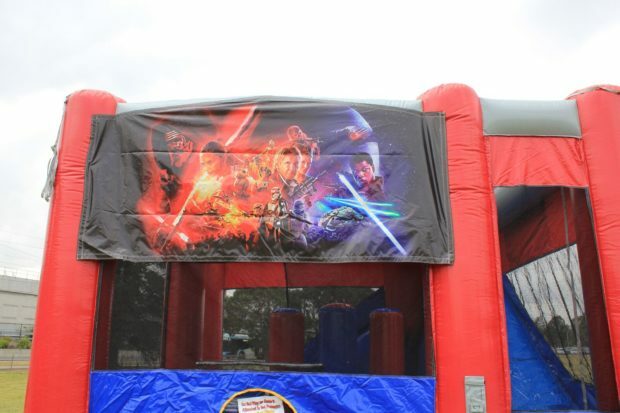 Customers looking to hire the Star Wars C5 bouncy castle require space of at least 7 metres by 6.5 metres. 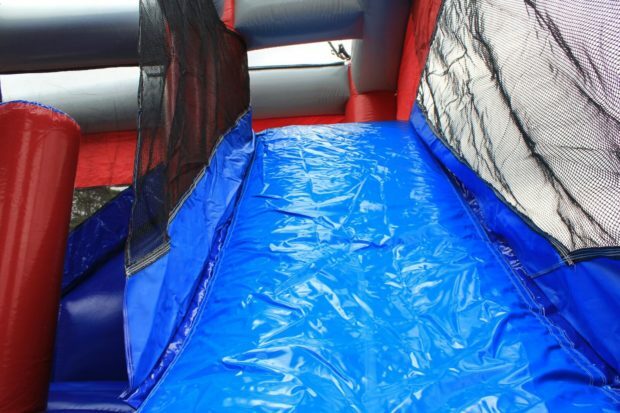 This inflatable is great for customers searching for a something large but with a toddler appropriate theme. 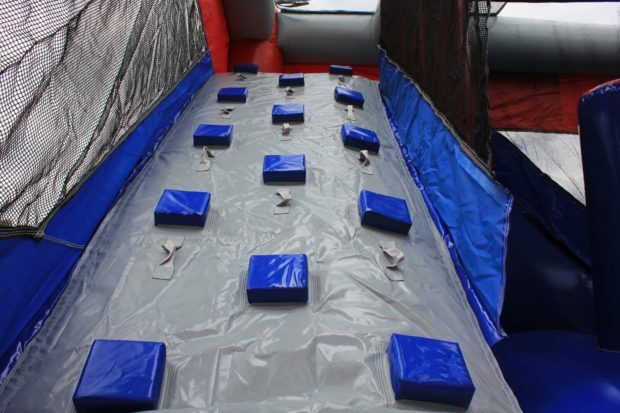 Check out our walk through the castle below!